Home > God’s Grace is Free! The grace of God be with you. The month of October that soon approaches, in which we remember the Protestant Reformation, is a perfect time to think about the grace of God. 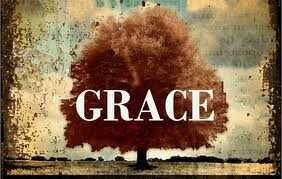 Perhaps the first thing to lift up is the importance of God’s grace and mercy. As Psalm 51 says: “According to your great compassion, block out our transgressions.” Second, we must remember that God’s grace is free. We do not deserve it nor can we earn it by our own efforts.But the good news of the gospel is that God accepts us, loves us, forgives us and receives as, exactly as we are, NOT by our merits, for “by grace you have been saved.” So do not do “things” to win the favor of God. But, because God has blessed us with grace and salvation, we find that we are compelled to do works of justice which represent our appreciation of God’s gift of love through Jesus Christ. Amen!